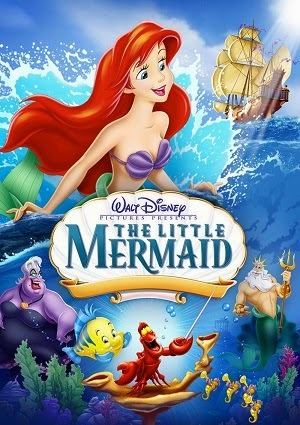 This is the story of Ariel, a princess mermaid, daughter of King Triton. She is dissatisfied with life under the sea and she would love to know about the human world, is a curious, adventurous and independent siren. Ariel longs to be part of the human world, and one day goes to the surface of the ocean to visit Scuttle the seagull, but for her that’s not enough. Ariel decides travel to the ocean surface again, to watch a celebration for Prince Eric, with whom Ariel falls in love. Ariel needs to be human again and vows to find a way to join Eric. One day, the witch Ursula makes a deal with Ariel to transform her into a human for three days, but within these three days, Ariel must receive the kiss of true love from Prince Eric; otherwise, she will transform back into a mermaid and belong to Ursula. Ursula does everything to prevent the little mermaid receive her kiss of love. Many adventures await the little mermaid knowing the human world, because Ariel really loves Eric but the evil of her enemy has no limits. She will need courage and strength to achieve her goal and achieve happiness.